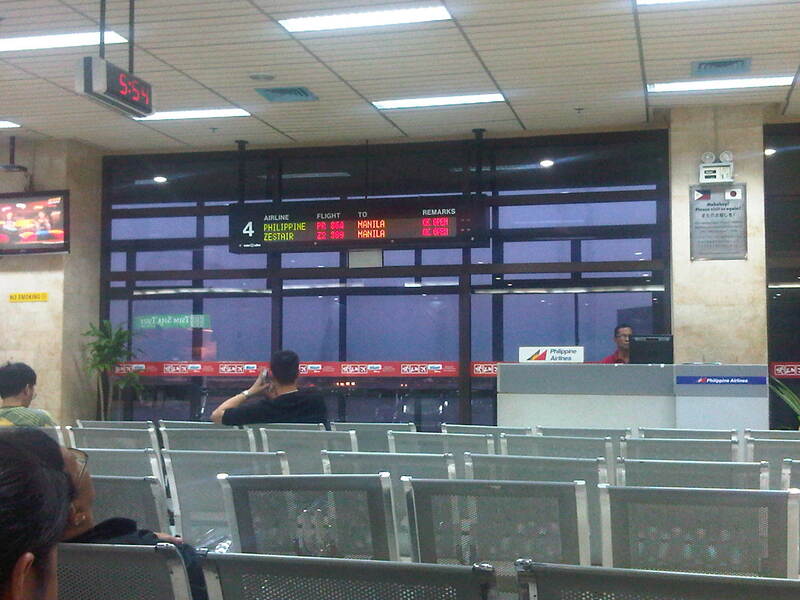 I haven’t been able to get decent photos inside Mactan Cebu International Airport (MCIA) in previous trips to Cebu. And so, when I finally had the opportunity recently, I wasted no time taking a few photos inside the terminal. MCIA is frequently in the news these days as its proposed expansion is being bidded out. The airport is the second busiest airport in the country after Manila’s NAIA; serving more than 6 million international and domestic passengers in 2011. This will continue to increase as Cebu develops further in terms of business and tourism. The check-in counters for Zest Air (formerly Asian Spirit) and Seair (now operated by Tiger Airways) were practically beside PAL’s. The PAL counters between Zest Air and Seair used to be Air Phil Express counters. The latter is now known as PAL Express, PAL’s repackaged budget airlines. Cebu connects with many other cities in Visayas and Mindanao. The number of domestic flights are comparable to Manila and there are destinations in Mindanao that do not have direct flights connecting to Manila. Instead, one would have to fly via Cebu or Davao. Information on designated terminals for flights to and from Manila. PAL subsidiary Air Philippines, which became Air Phil Express and now PAL Express used to fly out of NAIA Terminal 3 with PAL exclusively using Terminal 2. With the re-organization of PAL and its more aggressive approach at present, the airline now seems to have expanded and is now competing with Cebu Pacific for space at Terminal 3. There are many souvenir shops at the airport, many selling food items like the popular dried mangoes, otap, rosquillos, and dried sea food. Popular brands are Titay’s and Shamrock. The items at the shops at the airport are priced higher so it is advisable for people to purchase souvenirs at local shops or supermarkets in the city. Titay’s and Shamrock have their own shops in Cebu and Mandaue. Dried fish is best bought at the market in Cebu (Ask your driver to take you to the “tabuan” market.). Islands Souvenirs is an established brand in the Philippines specializing in souvenir shirts and other items. I used to collect shirts from the cities I have visited and I have already collected quite a lot from my travels in the country. 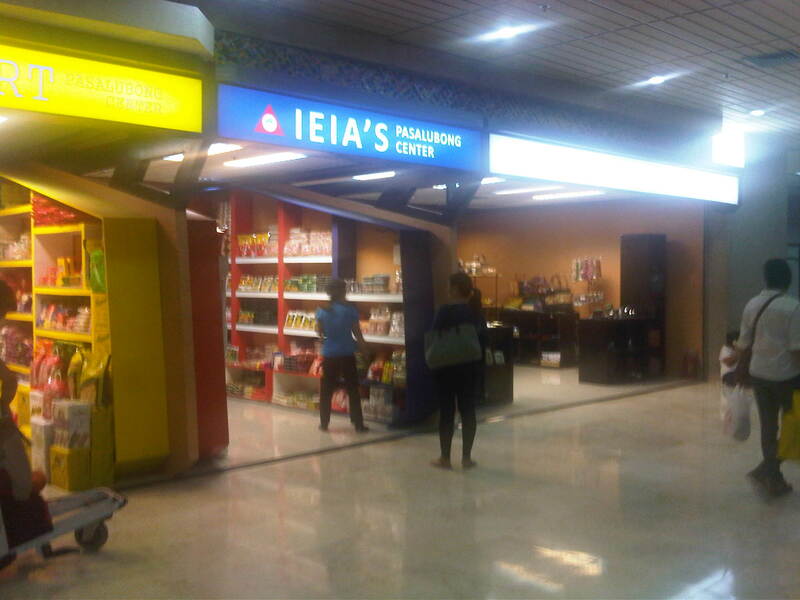 There is an Islands Souvenirs shop at most major cities in the country. MCIA also has a Timex stall at the pre-departure area. Timex is a watch company producing high quality watches out of the economic zone in Lapu-lapu City. 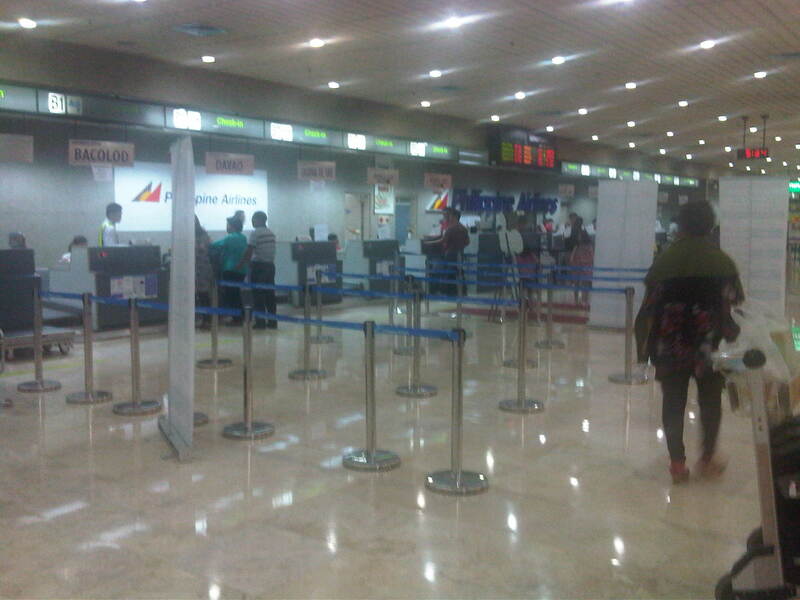 Pre-departure area at MCIA – the area can get quite crowded during the day when most flights depart out of the terminal. PAL fields wide bodied aircraft to address the high demand between Manila and Cebu during the day. Passengers waiting for their flight. My flight back to Manila wasn’t a full one probably because it was a later flight. There’s been a lot going on in MCIA ever since the former Cebu City Planning and Development chief Paul Villarete took over as General Manager. I’ve noticed the improvements as I have been to Cebu quite frequently since 1996. These include a cleaner terminal and more efficient services in the airport. MCIA is a work in progress and should soon be upgraded with a new terminal building. I’m hopeful that the groups bidding for the project will do a great job as at least two of them are associated with top airports in Changi (Singapore) and Incheon (Korea). By d0ctrine in Air travel, Airports on May 4, 2013 .